Some theories that make sense to me on why a 2.5 million year old system is the best. In order to understand and appreciate anything in life, the history of it is important so you can understand the fundamentals and basics of what anything is based upon. This is also true with the Paleo diet. Paleo Diet Origins And What Is It? The Paleo diet is simply based on a diet that is influenced by what our ancestors are (or what we think they ate). For the most part the major groups of foods consumed are meat, nuts and berries. This diet excludes things like grains, legumes and dairy. The founding pillar here is that the allowed food groups are the ones that man is most developed to be consuming and that foods such as grains, dairy and legumes are shunned as they came about after the introduction of agriculture to our lives. So why are the products of agriculture so bad for you? Our ancestors have been known to have survived on meat, nuts and berries for about 2 million years (I am not just saying this, tooth records and science proves this) and in evolutionary terms, our bodies have been fine tuned by now to be able to consume nuts, berries and meat. Agriculture comes along a mere 10,000 years ago (again, tools found by ancestors prove this) and in evolutionary terms, 10,000 years is simply not enough time for us to be able to adapt to the growing rate of foods that are being introduced to us. Just think about it, this industry is so vast, practically everyday there’s a new food stuff being introduced into the market. 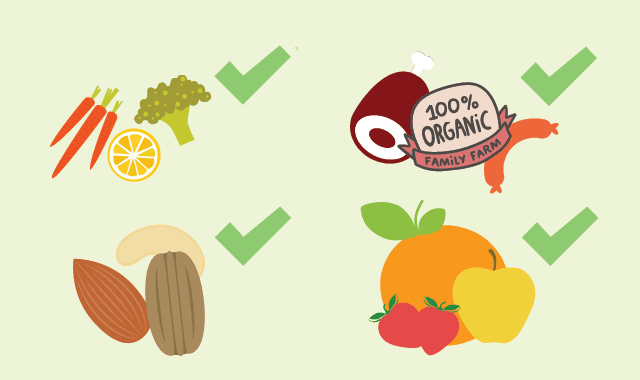 Are all of these Paleo friendly? Not most of them. Now if you analyse this deeper like I did, it does sort of makes sense. I think the products of agriculture are the main causes for what I call “modern day disease”. You know the ones I am talking about, the three big ones, obesity (no pun intended), heart disease and diabetes. Sure, cave people lived shorter lives but then again they didn’t have the medicine or equipment that we have and we don’t have to deal with sabre tooth tigers chasing us. Paleo Diet Origins : Were we born to eat a Paleo diet? Has it always been like this? The answer is no. Our Palaeolithic ancestors evolved to consume this nuts, berries and meat diet signified by tooth records which are different to the early hominids. During my research and study into the Paleo Diet Origins of the Paleo diet, early hominids had larger molars and were generally smaller and stunted (tooth and skeletal records). 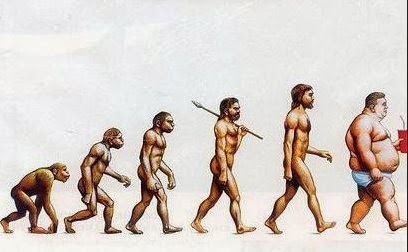 A paper published by Dr. Eaton, the person widely regarded as the founder of the modern day Paleo movement suggests that the Paleo diet and the shift to this diet by the early hominids is largely responsible for our rapid development and evolution. Studies suggest that early hominids lived on trees mostly off plant material (remember the molars). If you do a bit of research, you will find that plants don’t have all the necessary amino acids that is essential for our development and amino acids are essential for building blocks such as DNA. Dr. Eaton suggests that due to some changes such as over population, changes in geography forced these early hominids to give up their shelter in the trees and forests and branch out to find new territory. She reasons that this when these early hominids became foragers after being scavengers for so long. Tooth records from this era further reinforce that these foragers consumed neat as canine teeth started appearing in these skeletons. As these foragers started branching out, it is believed that these guys then learned to hunt and eat meat. This is where it all started progressing. With meat came the introduction of complex amino acids and healthy fats into these early hominids diets. This is believed to have stimulated DNA synthesis and improved brain development. Over the thousands of years, these early hominids started hunting further afield and it appears that meat started to play a bigger role in their diet. This is proved by the decreasing size of molars and increasing canine development seen in progressive skeletons found. As man started consuming more meat, this led to greater absorption of complex amino acids and healthy fats which lead to greater brain development, man started developing tools to aid them in hunting. Now, the thing with tools is that it opened up a whole new world of opportunities for our ancestors as now they could access new protein such as bone marrow which is extremely nutrient dense. Brain matter was now accessible as well which is also nutrient dense. Nutrient dense material not only provides new complex nutrients but also keeps you going for longer. This allowed our ancestors the ability to travel further afield without depleting their energy and having to find food again. With more travel, man also improved his intelligence as he was exposed to new and challenging obstacles and learned from it. From the hundreds of papers I have read on this topic, for me, this makes a lot of sense and I firmly believe that diet played a massive role in the evolution of early hominids into Homo sapiens that we are today. If I was to make a hold statement, I would say that Charles Darwins evolution of species is probably the work that started the Paleo movement as what he wrote quite simply explains it all. It’s a shame that it took about 126 years later for Dr. Eatons work to come out for the community to turn around and say, hang on, there could be some substance here! Dr. Eatons work is seen as the birth of the modern Paleo diet and beginners should start here just like I did so you will have a firm foundation of what you are about to embark upon and have a greater understanding. Other scientists have come close to discovering the Paleo diet. Notably, Dr. Prices paper published in 1936. He was a dentist who traveled around the world particularly Asia and observed that the third world countries didn’t have the same diseases namely heart disease, obesity and diabetes like the United States and concluded that diet is mainly responsible for this. I would love to hear your thoughts on the above, I tried not to make the Paleo Diet Origins a boring history lesson. Check out my article on the Paleo Cleanse and why everyone should do this to experience that OMG feeling!